Calling All Teachers!Gunnar Counselman, CEO of TeamPlay, will be on NewspOp Thursday at 4pm PT to discuss mentoring 2.0. If you can't make the conversation please leave your questions here for Gunnar and Founder of Teamplay, NBA star, Baron Davis. McGraw-Hill Education, for example, publishes 95% of their books electronically as well as in print. But there is no compelling device to read them on. 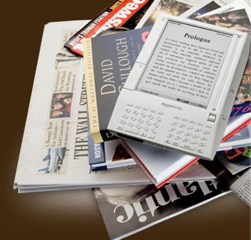 The new Kindle will likely be a large screen version of the original, which is much better suited for textbooks. 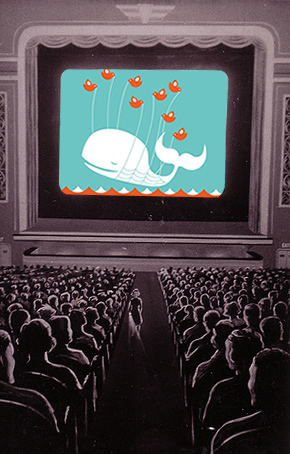 Everyone loves the twitter fail whale ! Four-year-olds love a cuddly toy - especially one that can speak, has flashing lights and is allowed in class. Red the Robot is all those things, but he won't play Power Rangers. Instead, he wants to sit down to some good, old-fashioned phonics. 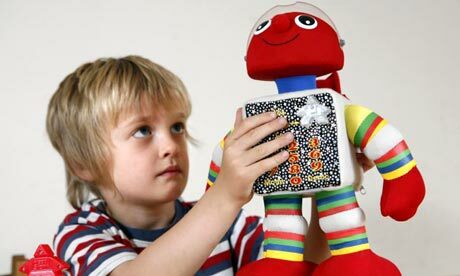 An army of Red the Robots is being deployed in schools and nurseries to help pupils as young as three learn to read. The 40cm-high toy can read stories and quiz pupils on their ABCs. Its manufacturer says it captures the imagination of children put off by traditional classes at a time when the government is desperately worried about children's literacy skills. BOSTON - Parents, don't put away those video games just yet — today's gamer may be tomorrow's top surgeon. Researchers who gathered in Boston for the American Psychological Association convention detailed a series of studies suggesting video games can be powerful learning tools — from increasing younger students' problem-solving potential to improving the suturing skills of laparoscopic surgeons. One study even looked at whether playing "World of Warcraft," the world's biggest multiplayer online game, can improve scientific thinking. Emily was produced using a new modelling technology that enables the most minute details of a facial expression to be captured and recreated. PIXELearning is a well-established, ASTD award-winning developer of online ‘serious games’ and immersive learning simulations. Due to rapid growth we require an Adobe Flash ActionScript developer with solid exposure to ActionScript 3 to enhance our Coventry-based R&D team. New York, Aug. 1, 2008 - Tabula Digita,Inc., an educational gaming company delivering pre-algebra and algebra software programs to K-12 schools and consumers, announced that it recently closed its Series B funding led by Ascend Venture Group, LLC. WestFocus, the partnership between higher education, community groups and small and medium sized businesses. Although the WestFocus partner universities are all based in South or West London, and in the Thames Valley, the demand for our services can be located anywhere in the UK. WestFocus has developed a series of Learning Games to assist in teaching the principles of entrepreneurship. One series of games is PC-based, and offers the opportunity to simulate running various businesses - the winners being those who aviod bankruptcy and make the most money. They may not yet know it, but gamers will soon be quitting their living rooms and heading outdoors. Handheld consoles and laptops made gaming portable, while the Nintendo Wii made gaming active. Now active, portable gaming is possible thanks to GPS and improved graphics becoming standard in cellphones. By 2013, the world's largest handset manufacturer, Nokia, expects half of its phones to be GPS capable, giving them the ability to fix their locations on the planet to within a few metres. Apple's iPhone, seen as a benchmark for other manufacturers, also has GPS and many handsets have motion-sensing accelerometers, just like a Wii controller. Games studios are racing to exploit a new world of what is called "pervasive gaming", where everyone carries a powerful gaming machine in their pocket. Being a virtual student used to mean skipping lectures after you'd signed up. Now, it's about attending lectures halfway across the world via the internet, replaying lecturers' best bits over a podcast and using online discussion groups to mull over questions. 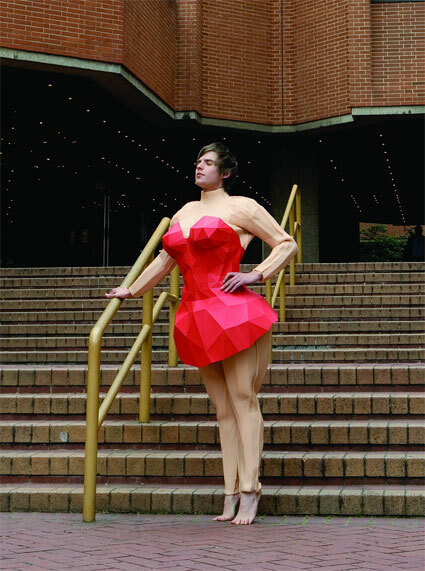 Being virtual can require much more work than anything that happens in a real lecture theatre. HSBC to order 200,000 iPhones ? Global banking giant HSBC is considering ditching the BlackBerry and adopting Apple's iPhone as its standard staff mobile device, a move that could result in an order for some 200,000 iPhones. "A decision on a piece of hardware like that would potentially be deployed, conservatively, to 200,000 people," said Hush. "You know, it's a big decision, especially when you have an existing fleet out there." Recent reports are now confirming that the search giant has been testing video ads for over a month, likely with its partner Bunchball. Bunchball is a member of Google's OpenSocial social networking effort and a Flash games developer with a few Facebook applications. Leaked liveplace video ? Can real time rendering in the cloud really be this good ??? 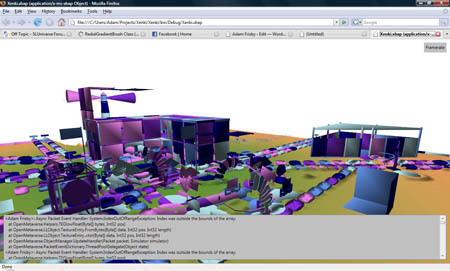 While there are a number of online games that offer impressive graphics (though none of this caliber), the real potential behind LivePlace and the OTOY engine is the cloud-based rendering engine, which allows games on almost any computer to play without needing a powerful graphics card. OTOY has been developed to work in any browser without a plugin, which makes the barrier for entry into this virtual world much lower than Second Life. Of course, we have no idea when City Space will actually launch, so it’s far to early to hail it as the second coming of social online worlds. Twitter users continue to stay attached to the service despite an ever-changing backdrop of alternatives. Twitter isn’t for everyone, and you may have dismissed the service a long time ago. But regardless of your own use, it’s hard to dismiss the phenomenon itself and the passion of so many that has built up around it. No matter how long the outage du jour, Twitter users continue to stay attached to the service despite an ever-changing backdrop of alternatives. Blogging isn’t for everyone either. But unlike blogging, Twitter enjoys a far a greater variety of users — they include people, many people, who would never think of starting a blog and people who would never touch an RSS reader. The 140 character limit is a plus for Twitter, but it isn’t all. Can video games can improve literacy in children? While debate continues over the impact of videogames on children, a small study in the U.S. is examining whether videogames are actually making kids smarter. Venture capital investing: what's on the horizon?